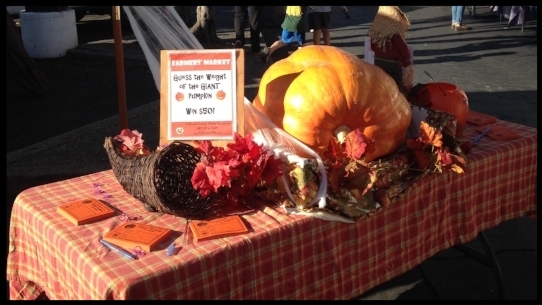 Guess the weight of the giant pumpkin for a chance to win $50, taste hot apple cider from Rainbow Orchards! Cooking Demonstration with Fuyu persimmons and crunchy apples! Come try a sample!